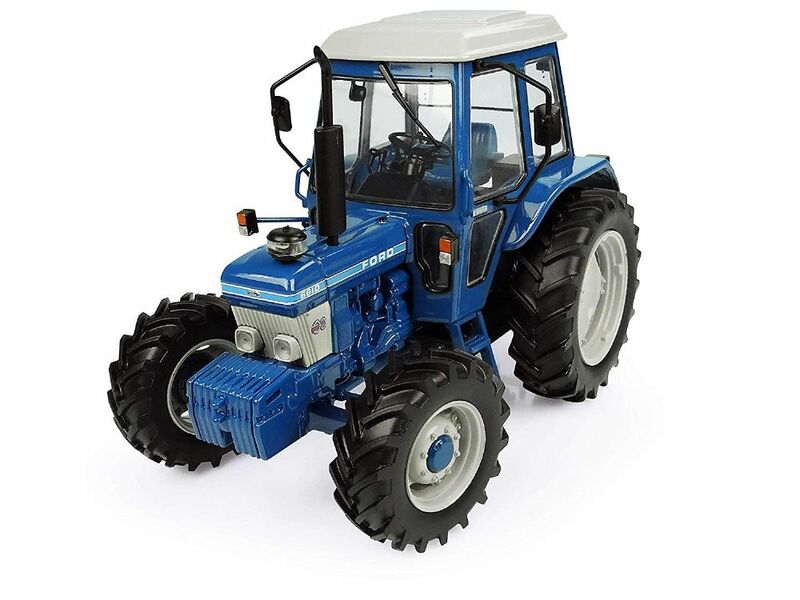 The Ford 6610 tractor is a first generation model of the 6000 series from Ford and is represented here in 4 wheel drive version. The front wheels are directional and the cab is fully glazed, allowing you to view the interior that is faithfully detailed (seat, steering wheel, handlebars...). All parts of the engine cover are also reproduced. This 1/32 scale metal model will delight all of Ford brand's nostalgia.